﻿﻿Greenridge Cemetery located in historic Saratoga Springs, New York is a not-for-profit, non-sectarian cemetery open to all. Visitors are always welcome daily dawn to dusk. Established in 1844, with space for about 3000 graves it was not long before expansion was needed. 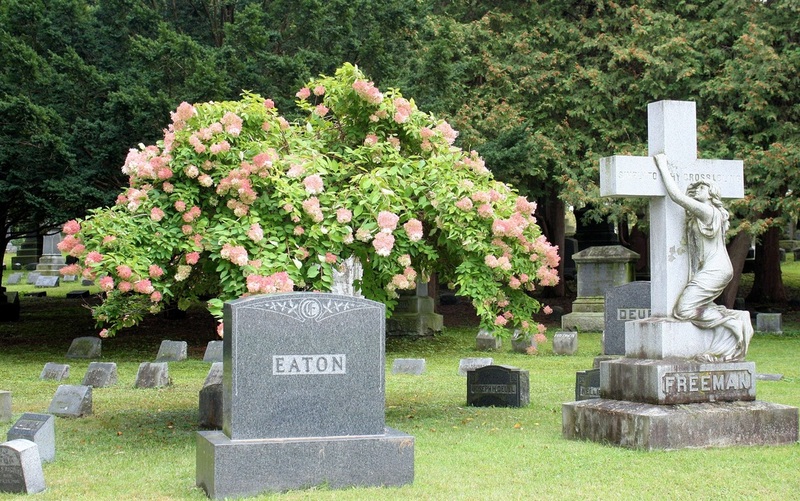 It has expanded twice to become the largest cemetery in Saratoga Springs. As one wanders through the beautiful, serene cemetery it is hard to believe that Broadway is only a block or so away. History is spread throughout the cemetery - as can be seen by the various gravestones, mausoleums and statues dedicated to prominent people, veterans and other notables. View or download maps showing some of the notables throughout the cemetery. ​ Lot Owners and Vendors must obtain approval from and register at the office before proceeding with any work on the grounds regardless of office hours. Searching for a loved one? Check Cemetery Maps or Burial Records right here on the website. Greenridg﻿e Cemetery Association has a wide choice of lots for sale. Contact us for information and prices.